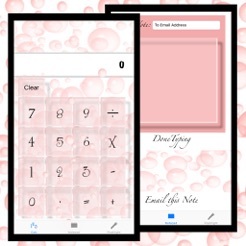 Pink bubbles are fun and cute so why not have a pink bubble calculator? 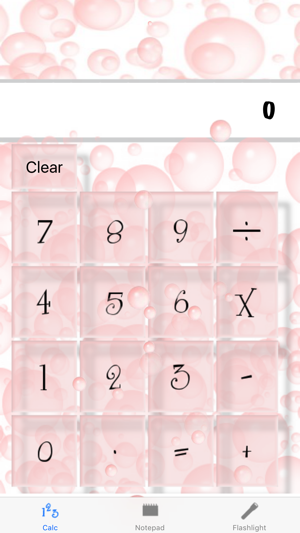 Watch the bubbles pop as you add and subtract while using the calculator! Sometimes we need to just email a quick message so a mini notepad is available for this purpose! 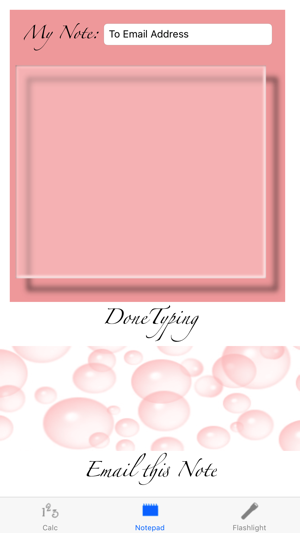 To top off this tool we added a screen of pink bubbles to illuminate those times you use your device as a flashlight! This application works OFFLINE and does not take up much space on your device. Who doesn't like pink? This app puts several handy functions in one place. The calculator has a much more pleasing and personal design than others I've seen. 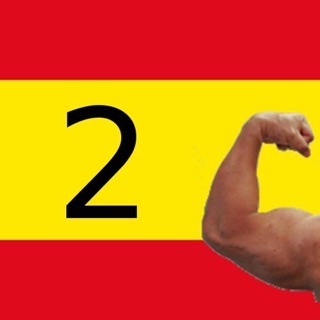 It's like the buttons are floating above the background. 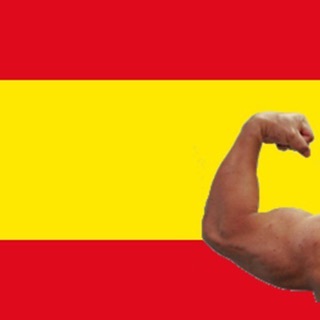 Fun to use, great app! It is cute but doesn't keep adding up your numbers, once you hit equal the next number you push starts a new transaction, so i can't use it for adding up my totals when shopping...please fix with an update!! I love it! I really like the pink bubbles! It's really cute and has great functionality! © Yummy and Yummy, LLC.